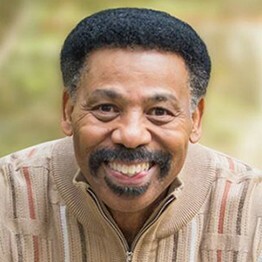 Tony Evans, Th.D., is one of the country’s most respected leaders in evangelical circles. As a pastor, teacher, author and speaker, he serves the body of Christ through his unique ability to communicate complex theological truths through simple, yet profound, illustrations. While addressing the practical issues of today, Dr. Evans is known as a relevant expositor. New and veteran pastors alike regard him as a pastor of pastors and a father in the faith. Dr. Evans is founder and senior pastor of Oak Cliff Bible Fellowship in Dallas, founder and president of The Urban Alternative, former chaplain of the NFL’s Dallas Cowboys, and present chaplain of the NBA’s Dallas Mavericks. His Christian radio broadcast, The Alternative with Dr. Tony Evans, can be heard on nearly 1,200 radio outlets across the nation daily. Dr. Evans’ sermons are also streamed and downloaded over 10,000,000 times annually. He has authored more than 100 books, booklets, and Bible studies, including his legacy work, Oneness Embraced, as well as his vision work, The Kingdom Agenda. Some of his most popular books include Kingdom Man, Kingdom Woman, Prayers for Victory in Spiritual Warfare, and The Power of God’s Names. Dr. Evans is married to Lois, his wife and ministry partner of more than 40 years. They are the proud parents of four, grandparents of 12, and great-grandparents of one.